Turbos aren’t about to go away, either. The iconic Porsche 911 is going almost all-turbo next month in Frankfurt, Mazda is surprisingly open to the idea of turbocharging the Miata and even Lamborghini admits that it might adopt forced-induction for the first time when it launches its next SUV in 2018. Join us as we take a look at some of the greatest turbocharged race cars ever built. Let us know what you think we missed in the comments section below. Audi raised eyebrows when it introduced a turbocharged all-wheel drive racer in 1980. Rival teams weren’t worried at first, but the Volkswagen-owned car maker quickly proved that its quattro was a force to be reckoned with. 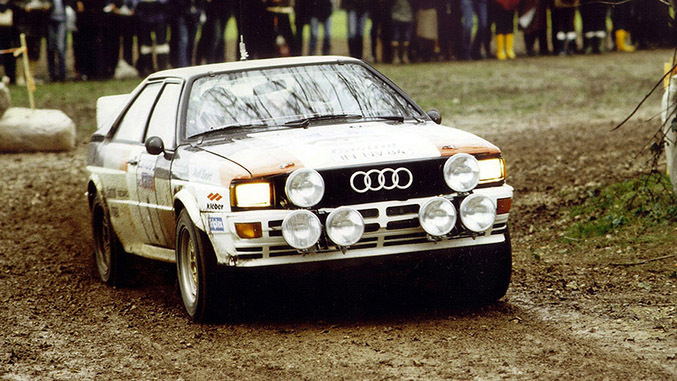 The Group B category that was introduced in 1982 allowed Audi to turn the dial up to 11. All-wheel drive allowed automakers to use more powerful engines, and the new regulations put very few restrictions on attributes like power and weight. One of the most notable evolutions of the quattro was the introduced in 1985. Dubbed Sport Quattro S1 E2, it was fitted with a 2.1-liter five-cylinder engine that used a beefy turbocharger to make 470 horsepower in its initial state of tune, though later evolutions packed nearly 600 ponies. 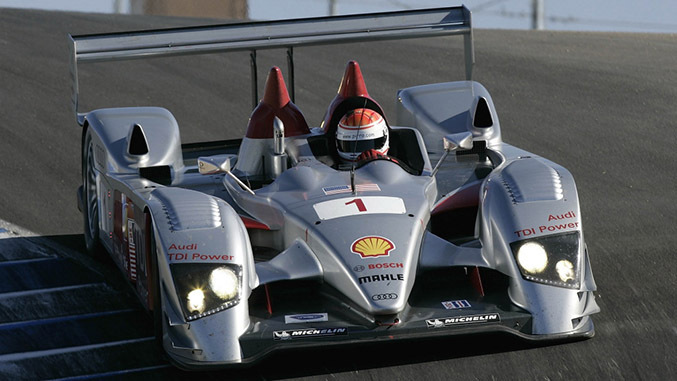 Audi designed the R10 TDI with one goal in mind: to win the highly competitive LMP1 class of the 24 Hours of Le Mans. Starting with a clean slate, the company developed an all-aluminum 5.5-liter V12 turbodiesel engine that delivered over 650 horsepower and 885 lb-ft. of torque. Taking on Le Mans with a diesel-powered car was a daring endeavor, but Audi’s gamble immediately paid off and the R10 TDI won the grueling race in 2006, 2007 and 2008. Its successor, the R15 TDI, was unable to continue the winning streak and it was famously beaten by another oil-burning racer, the Peugeot 908, in 2009. 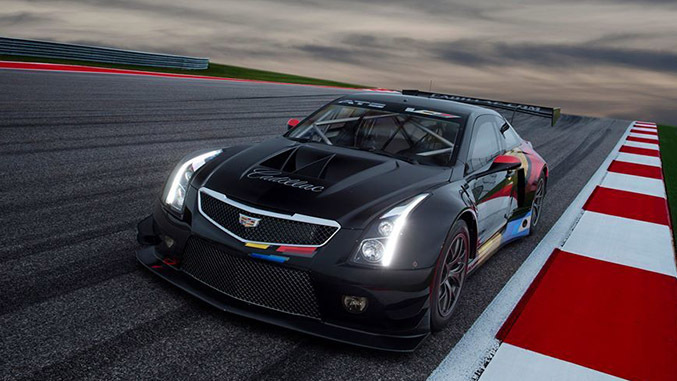 As its name implies, the GT3-spec ATS-V.R is the racing version of the Cadillac ATS-V. It packs a 600-hp evolution of the stock ATS-V’s 3.6-liter V6 engine that has been upgraded with a pair of larger BorgWarner turbos, bigger intercoolers and a competition-specific engine management system. Additionally, the ATS-V.R is fitted with a model-specific six-speed sequential transaxle. The ATS-V.R was unveiled last year at the Los Angeles Motor Show so it doesn’t have an acclaimed racing pedigree yet, but it shows that the General Motors’ premium division is finally serious about taking on Mercedes-AMG and BMW M both on and on the track. Four-wheeled leviathans are a thing of the past for Caddy. 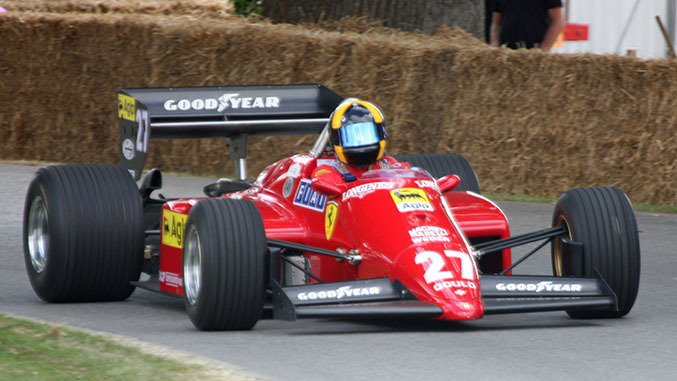 Launched for the 1981 season, the 126C was Ferrari’s first brand new Formula 1 car since 1975 and its first-ever turbocharged race car. Interestingly, the 126C was initially equipped with a supercharger because, unlike a turbo, it provided boost instantaneously. However, reliability issues (and the lack of finances to fix them) led Ferrari to drop its supercharged ambitions and instead adopt a turbo. In its initial state of tune, the 126C’s 1.5-liter V6 made 570 horsepower at 11,000 rpm, though later evolutions were boosted to over 850 horsepower. It got off to a disappointing start in its maiden season and Ferrari only placed fifth overall, behind Williams-Ford, Brabham-Ford, Renault and Ligier Matra. 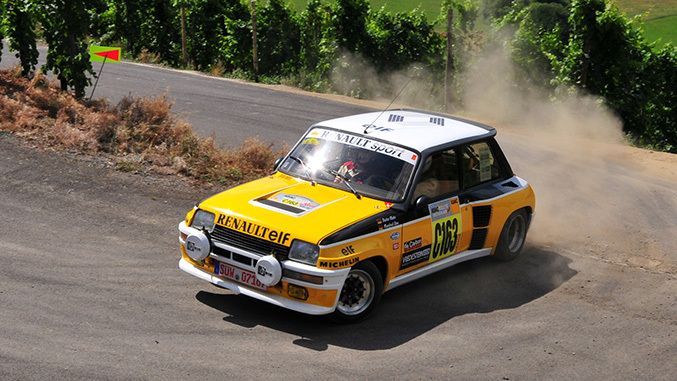 With the kinks ironed out, the 126C took first place overall in 1982 and 1983, respectively. With Group B canceled for good, Lancia focused on taking first place in Group A. The company introduced a hot-rodded Group A-spec version of the Delta, an otherwise mundane family hatchback, in time for the 1987 season. It was equipped with a turbocharged 2.0-liter engine that sent power to all four wheels via a manual transmission. The rest, as they say, is history. 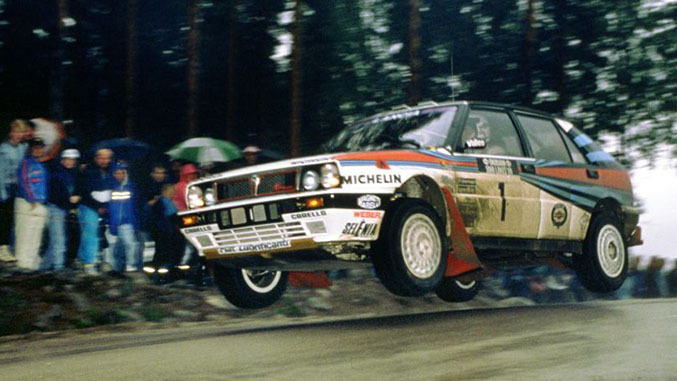 The Delta won 46 World Rally Championship events, and it allowed Lancia to take home the WRC constructor’s championship every year from 1987 to 1992. Even over a quarter of a century after its debut, it remains one of the most successful rally cars ever built. Designed by John Barnard, the McLaren MP4/2 was all-new for the 1984 Formula 1 season. Power for the carbon fiber-bodied racer came from a turbocharged 1.5-liter TAG-Porsche V6 engine that made 700 horsepower at 11,500 rpm. A five-speed manual transmission spun the rear wheels, and innovative carbon brakes quickly and safely brought the MP4/2 to a stop. 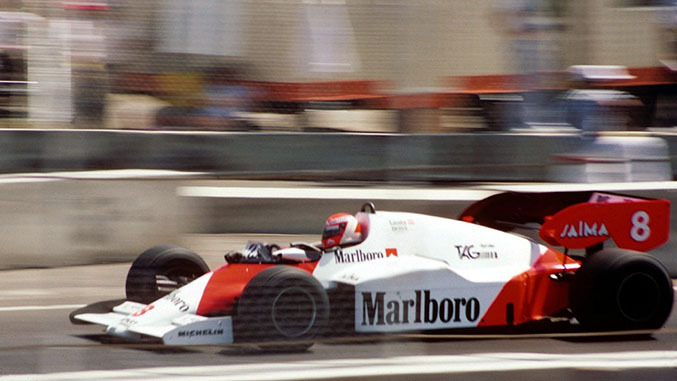 McLaren enlisted Niki Lauda and Alain Prost to drive the MP4/2 in 1984. With a state-of-the-art car and some of the sport’s fastest pilots, the British team had a lot going for it that year. The MP4/2 won 12 out of 16 races in 1984, a record at the time, and McLaren easily took home the World Constructors' Championship with 143.5 points. Ferrari came in second with just 57.5 points. Nissan designed the Skyline GT-R to compete in the Group A category. While the R32 model wasn’t the first-ever GT-R, it was by far the most extreme to date thanks to a twin-turbocharged 2.6-liter straight-six engine whose output ranged between 500 and 650 horsepower depending on how it was tuned. All-wheel drive helped keep the power in check. 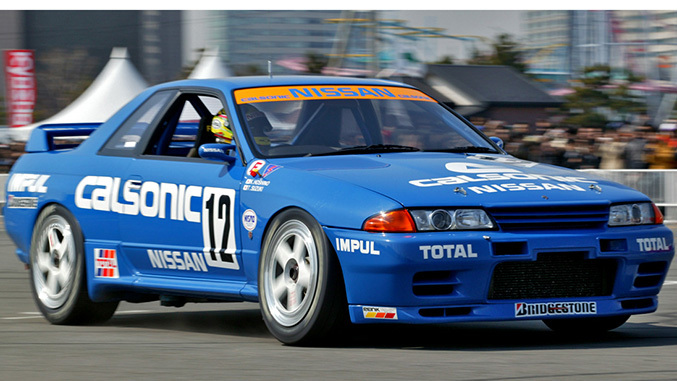 The Skyline GT-R was a truly international race car. Tuned by Nismo, it took first in class in the 1990 Nurburgring 24-hour race and in the Spa 24-hour race, it helped Nissan take home the 1990 manufacturer’s title in Japanese Touring Car Championship and, perhaps most impressive of all, it took first overall in the 1990 Australia Touring Car Championship, easily beating V8-powered cars. The exploits earned it the nickname Godzilla. 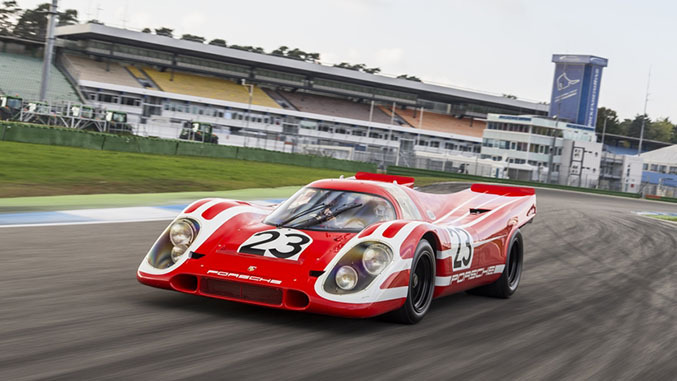 In the early 1970s, Porsche needed to build a more powerful version of the 917 in order to race it in Can-Am. The company initially wanted to hit the track with a naturally-aspirated flat-sixteen engine but it ultimately went with a turbocharged evolution of the existing flat-twelve tuned to make nearly 1,000 horsepower. The 917 turbo took first place overall in the 1972 Can-Am series. The following year, Porsche pushed the envelope even further with an evolution of the 917 called 917/30 that packed a 5.4-liter variant of the flat-12 tuned to make approximately 1,100 horsepower at 7,800 rpm and 809 lb-ft. of torque at 6,400 rpm in standard race tune. 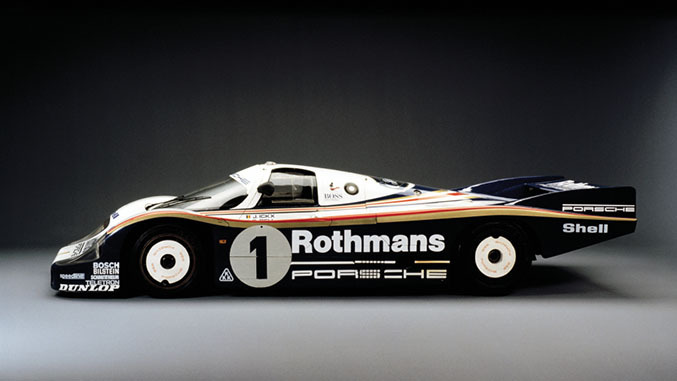 Called 917/30, it decimated the competition and easily won the 1973 Can-Am series. The Porsche 956 holds the honor of being the fastest car ever to lap the Nürburgring-Nordschleife. The racer went around the track in 6:11.13, a figure that makes it over 45 seconds faster than the state-of-the-art gasoline-electric 918 Spyder. What’s even more impressive is that it set the record 32 years ago. Designed to comply with the Group C regulations that the FIA introduced in 1982, the 956 was powered by a 2.65-liter turbocharged flat-six engine that made 635 horsepower in its most basic state of tune. It took first in the 24 Hours of Le Mans every year from 1982 to 1985, as well as in a long list of endurance races including the 1000 kms of Spa, the 1000 kms of Monza and the 1000 kms of Brands Hatch. Renault began to toy around with the idea of a turbocharged halo car in 1976. The company was going to great lengths to design turbocharged engines for Formula 1 and Le Mans race cars, and applying the technology to a street-legal model seemed like the next logical step. Billed as the hottest of all hatches, the 5 Turbo was surprisingly given the green light for production and the first examples were assembled alongside the Alpine A310 in Dieppe, France, in 1980. The car was sold to the public in limited numbers, and the various evolutions of the 5 Turbo were campaigned in Group 4 – and, later, Group B – events all around the world. The mid-mounted four-cylinder’s output ranged from 240 horsepower in early cars to over 350 horsepower in the Maxi model.